The OpenSimulator-based OpenVCE region build has been fully checked and scripts improved (especially for presentation screens), the lighting made a bit more subtle to work better in recent browsers and with better GPUs, some problems with amphitheatre seats in one asset box for OpenVCE assets corrected, etc. We now have an identical copy of the OpenVCE region and the relevant expo areas, the lecture style amphitheatre, the larger collaboration/brainstorming style I-Room, and the minimal DICE project style I-Room all available on need, as well as an up-to-date and fully operational backup OAR for the build. Openvue OpenVCE region – restricted direct use and avatar registration but openly visitable via hypergrid from any HG enabled OpenSim grid – Vivox voice enabled. 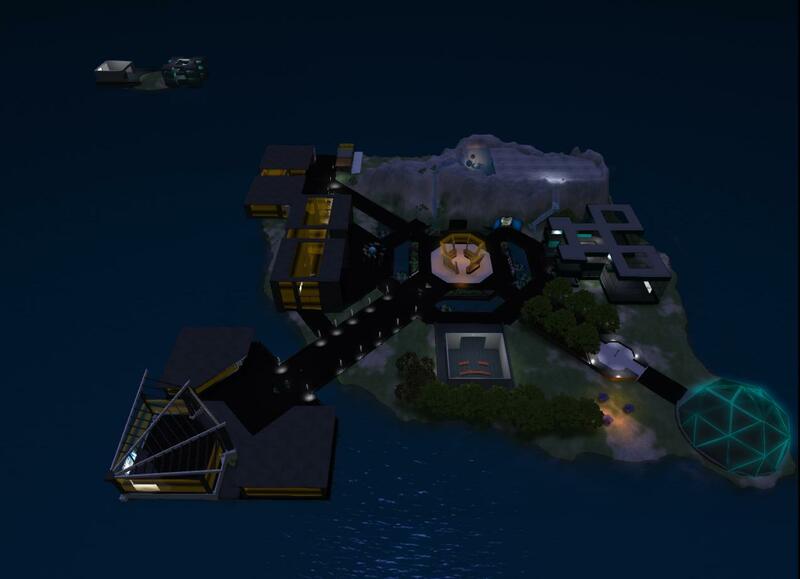 OSGrid OpenVCE region- open registration of a free avatar – hypergrid enabled – Vivox voice enabled. MOSES OpenVCE region – with Murmur voice. The LGPL licenced OAR file for OpenVCE that we prepared is also now widely used by others to set up an initial collaboration or educational facility on their own OpenSim grids. New World Grid offer it as the default initial region for their users, and Kitely offer it as one of their initial startup region choices. This entry was posted in OpenSim, OpenVCE and tagged DICE, MOSES, OpenSim, OpenVCE, Openvue, OSGrid. Bookmark the permalink.